Dr. Kimberly Chan always appreciates feedback from her valued patients. To date, we’re thrilled to have collected 9 reviews with an average rating of 4.89 out of 5 stars. 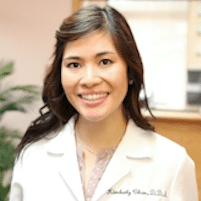 Please read what others are saying about Dr. Kimberly Chan below, and as always, we would love to collect your feedback. I had a great experience with Dr. Chan! She had wonderful bedside manners and explained everything in detail on what she was doing. Definitely recommend! Everyone I came in contact with in the office was very kind and professional! Definitely my favorite dentist visit. My experience was great they take very good of me. Very knowledgeable, helpful and nice. Dr. Chan was awesome! I think I found a new dental office for all my future follow ups! !